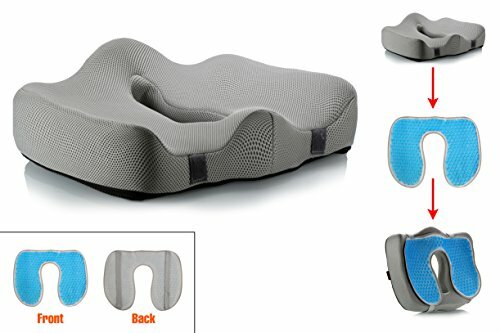 DESIGNED for WHEELCHAIR USE-INSTANT BACK-TAILBONE-COCCYX PAIN RELIEF AND COMFORT – If you feel stiff and sore after sitting, or experience tailbone, Coccyx or back pain, enjoy relief with this comfortable, and supportive seat pillow. 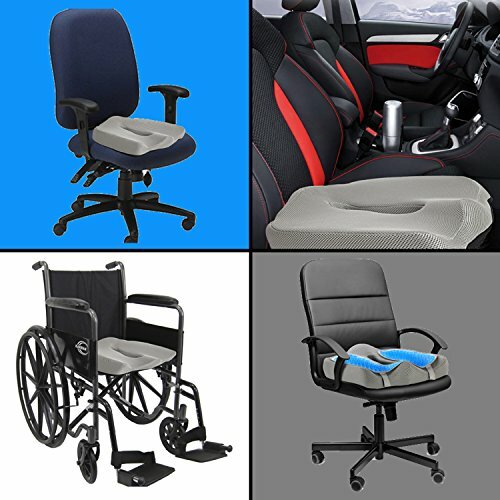 Helps with most sitting pain due to sciatica, herniated discs, tailbone injuries, pregnancy back pain, hip pain, hemorrhoids and other spinal issues, by REDUCING its PRESSURE while sitting, especially in a wheelchair. 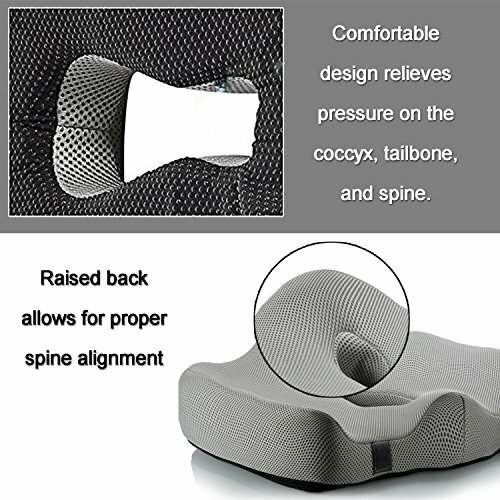 IMPROVE AND PROTECT YOUR POSTURE- Its perfect cut and shape provides support, comfort, and helps straighten and correct your posture. 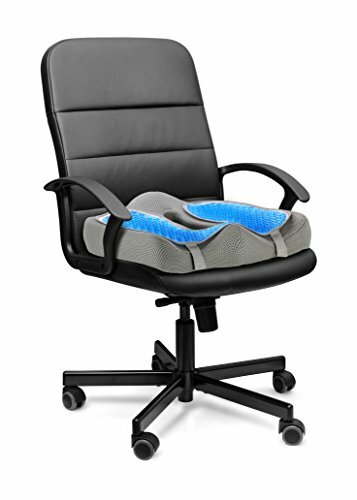 Ziraki seat pillow protects you from sitting in wrong and harmful positions.Enjoy comfort and productivity with the precisely molded memory foam that allows you to sit for hours at a time in your office or car comfortably. 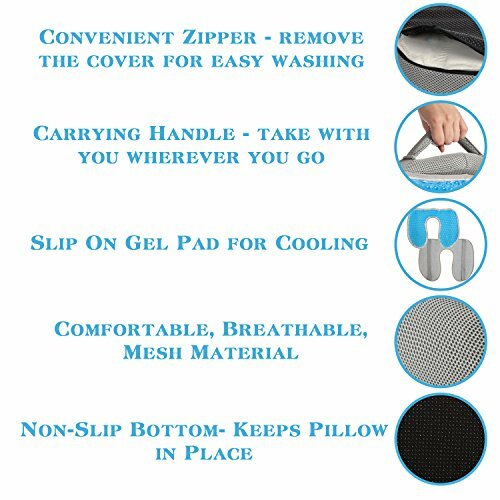 NON-SLIP & EASILY MOBILE & EASY CLEANING- Backed with embedded anti-slip modules, your cushion will stay firmly in the exact position you placed it. 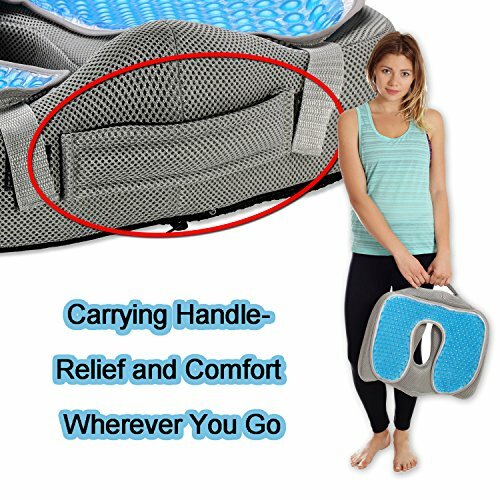 The Pain Relief Seat Cushion has a built-in handle so you can easily carry it with you wherever you go. Use on the go and in various locations for pain relief all the time. The convenient zipper allows for quick removal of the cover for easy machine washing. 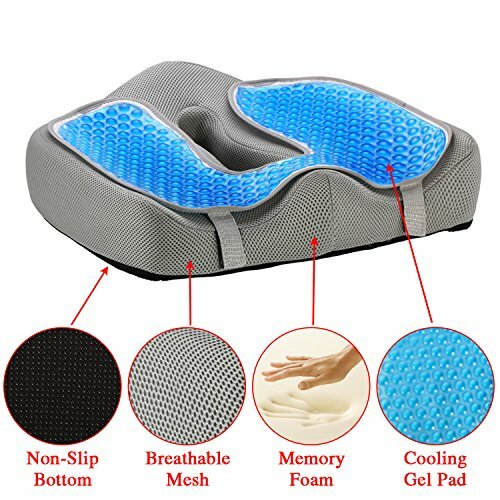 NEVER HOT, NEVER SWEATY WITH NEW GEL COOLING PAD- Revolutionary new cooling gel pad cools your bottom and your cushion, making sure you’re never hot and sweaty like with other memory foam cushions. Sit for hours in one place while still being cool. 100% SATISFACTION GUARANTEED – If you don’t absolutely love your Ziraki memory foam seat cushion, we guarantee you that we will reimburse you for 100% of your order.